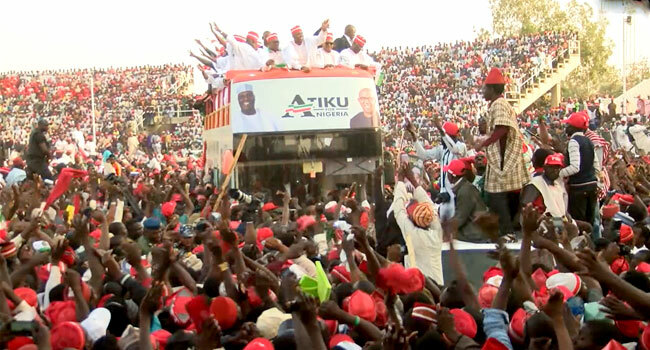 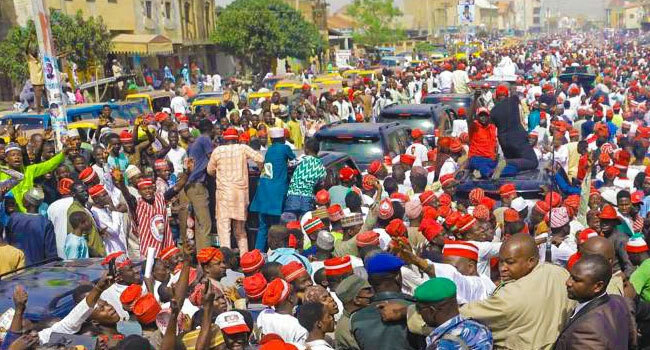 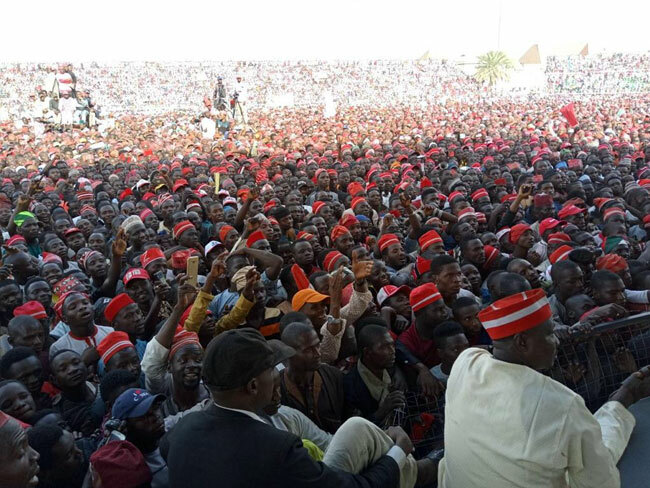 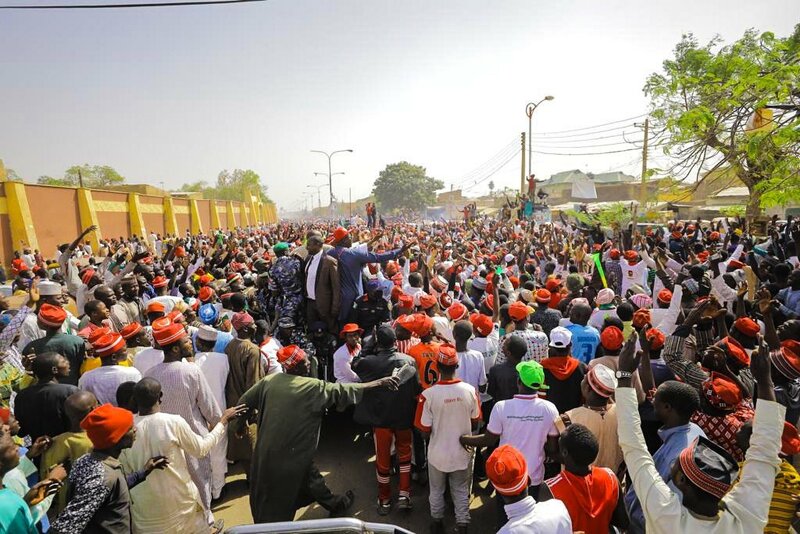 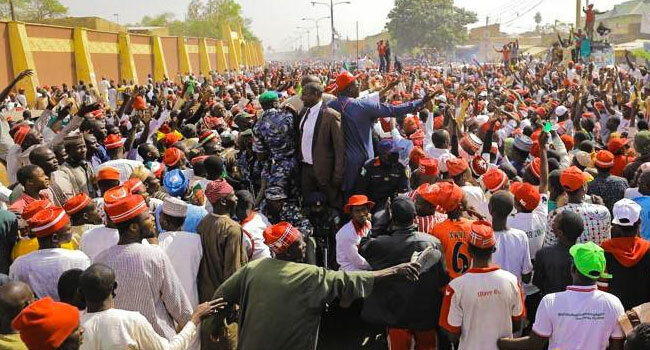 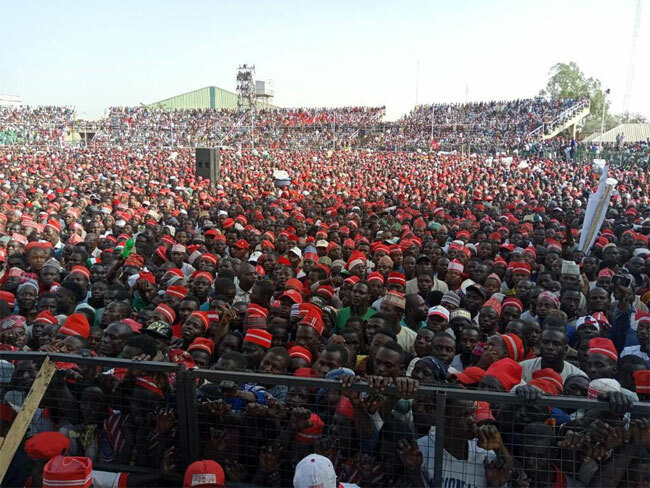 Presidential Candidate of the Peoples Democratic Party, Atiku Abubakar, took his campaign to Kano State, North-West Nigeria, on Sunday with a massive crowd turning out for his rally. 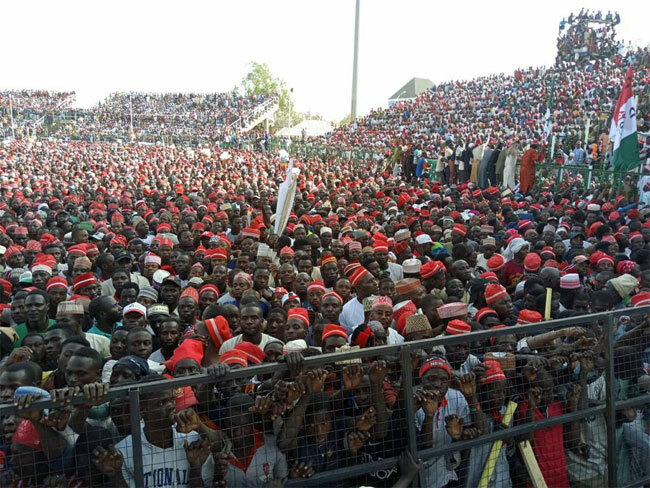 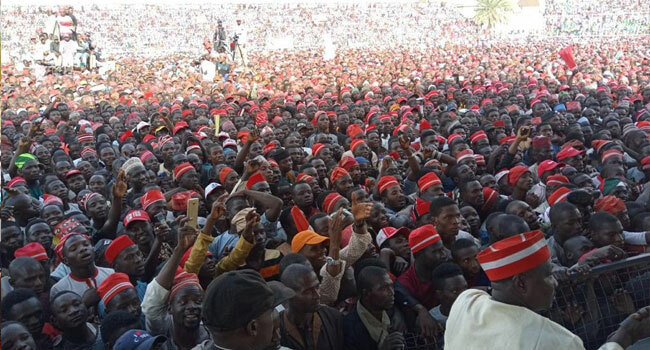 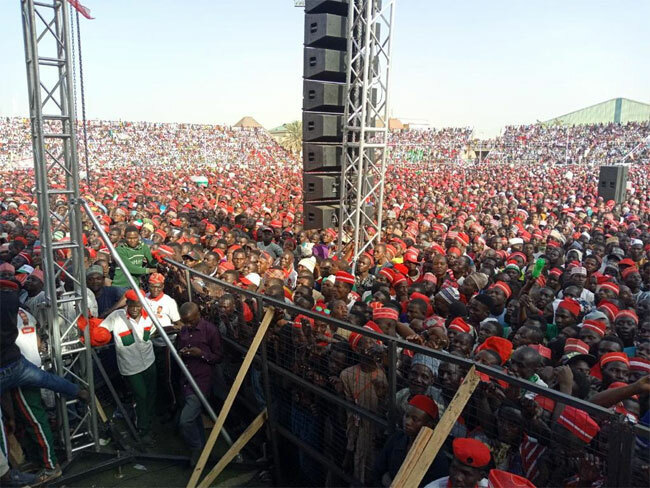 The venue of the rally, the Sani Abacha Stadium, was packed and more than 12 persons had to be taken out of the stadium by security officials after they slumped in the crowd. 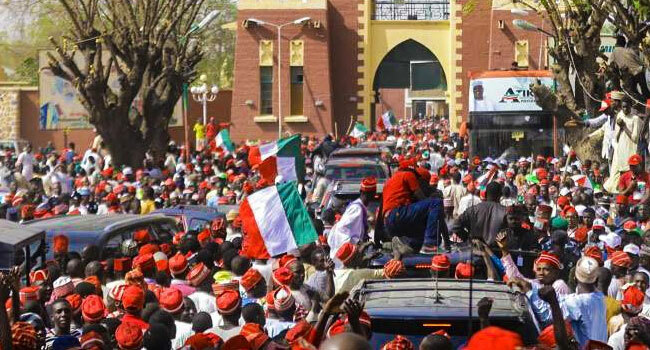 The PDP presidential candidate and members of his campaign council had on arrival in Kano visited the Mambiya House, home of the late leader of the Peoples Redemption Party, Aminu Kano. 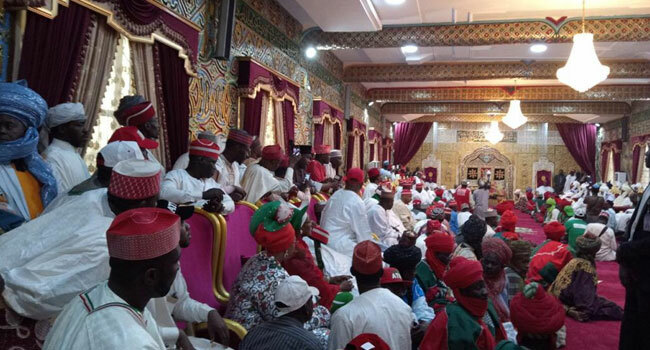 The campaign team also visited the Palace of the Emir of Kano, Mohammed Sanusi II, who received them and prayed for peaceful elections in the country. 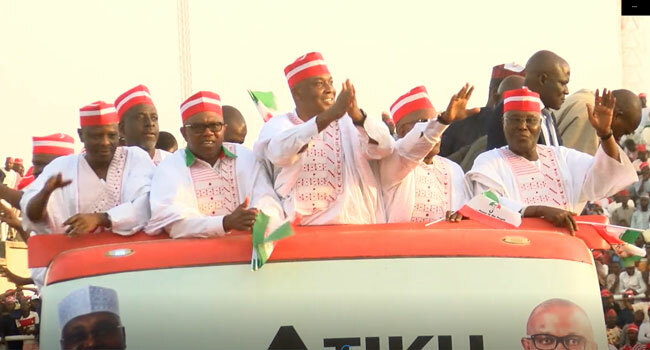 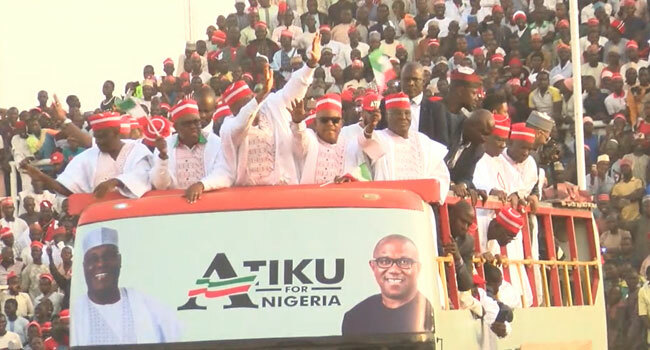 Top PDP officials and members at the rally included the Director-General of the PDP Presidential Campaign Council, Dr Bukola Saraki; PDP National Chairman, Uche Secondus; and former Kano State Governor, Rabiu Kwankwaso.